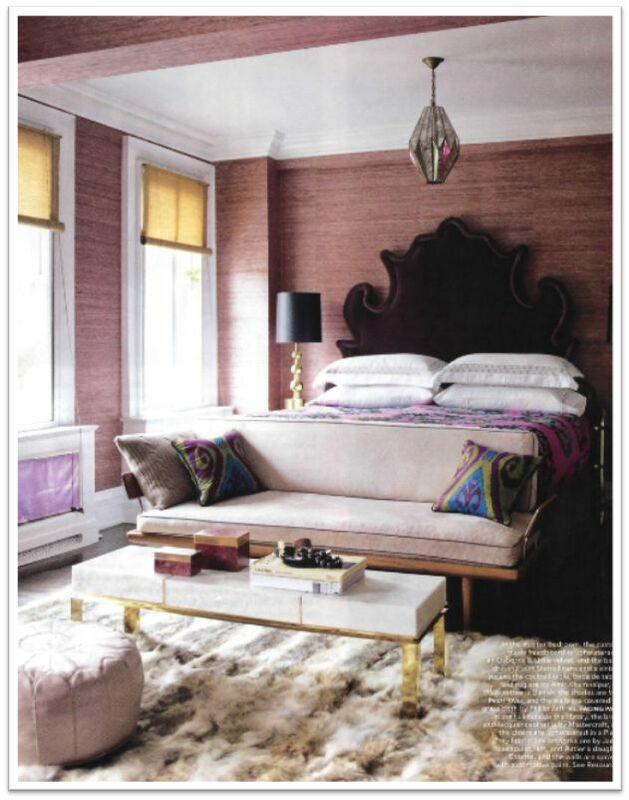 This months Elle Decor features the home of stylist and editor, Jackie Astier. 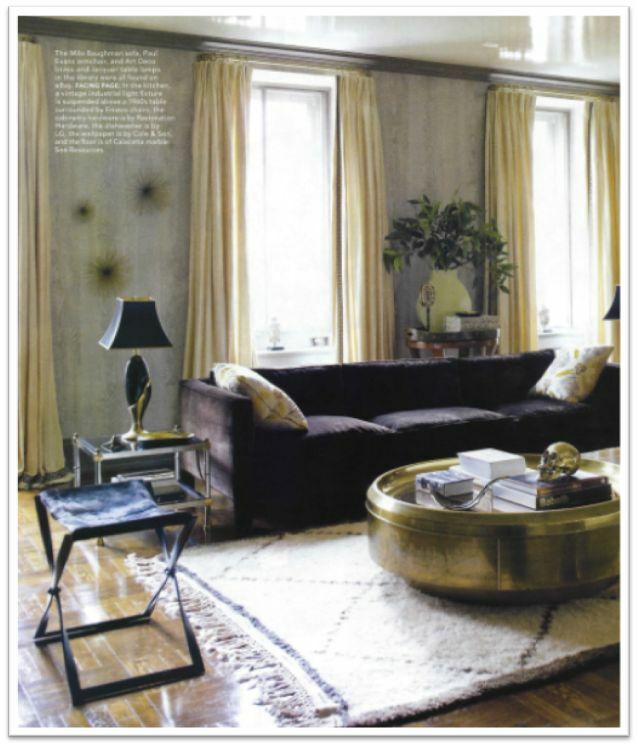 Her house is full of velvet, gold, burl wood, rich textures and edgy accessories. 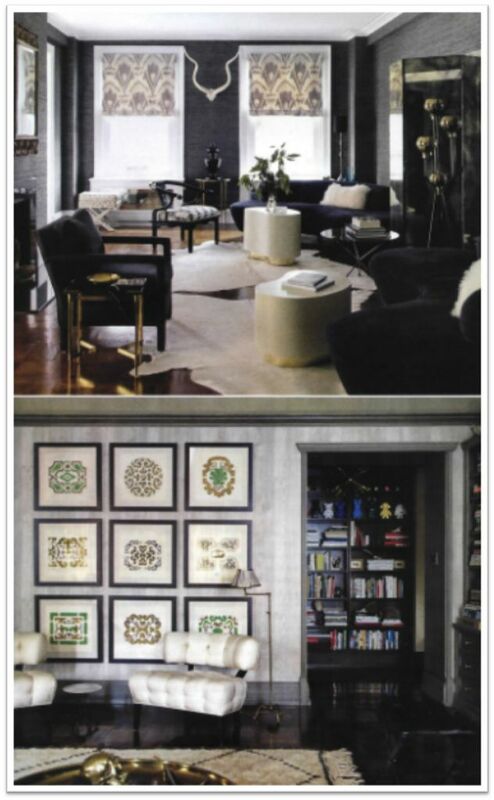 She lets her passion for high style and rock n roll reflect throughout her interior. I want to live here. BAD. 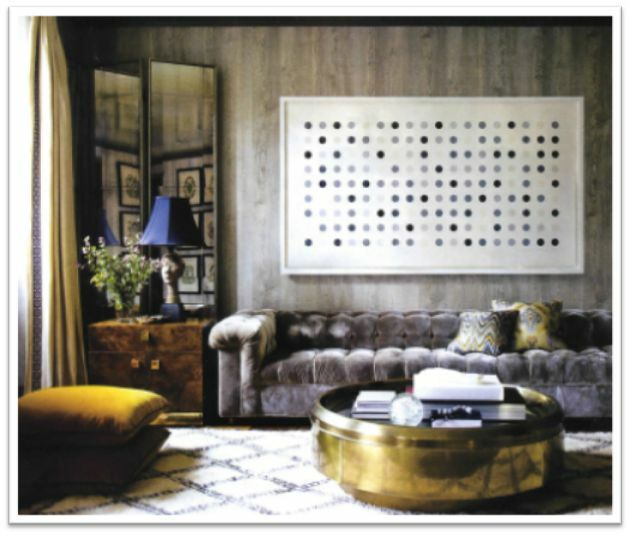 Love the rug — velvet sofa and burlwood end tables. Somehow she makes the wood paneling look chic. Black high gloss walls!!! I Die! Love! 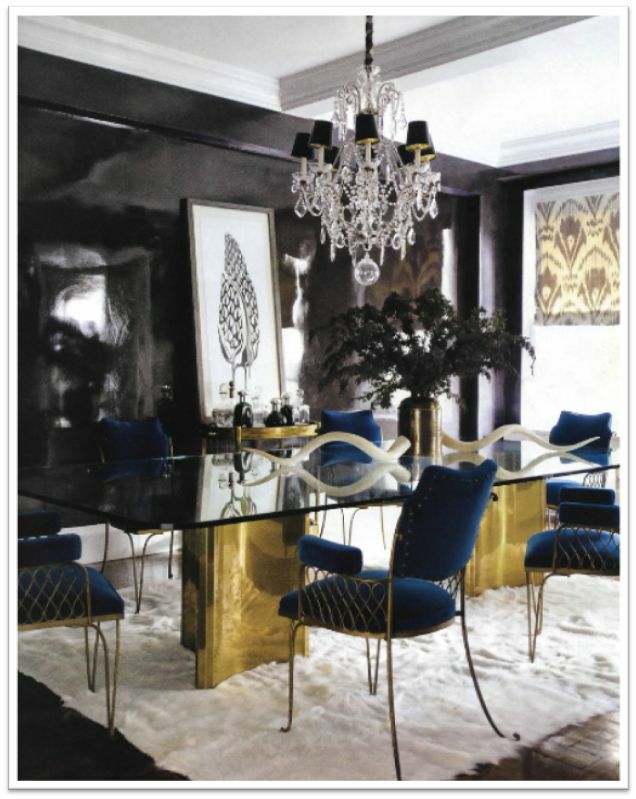 I like the black and gold shades on the traditional crystal chandelier. Check out the skull on the table! 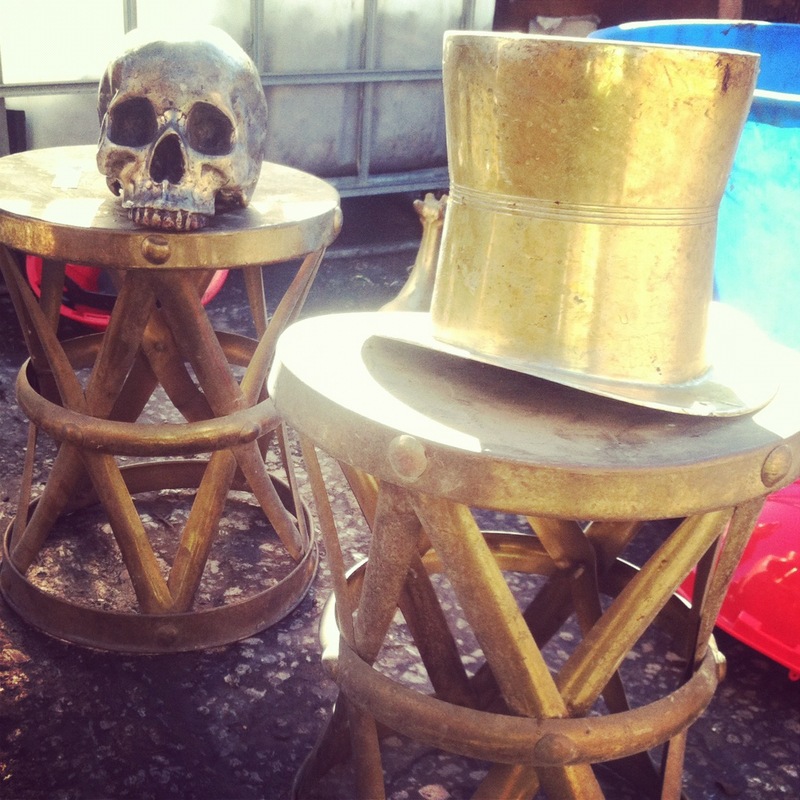 We found one just like it at Gold Market Recycling in Dallas! What a find! This is the one we found….. I love everything in this. I am not sure where to start. Give me that headboard. 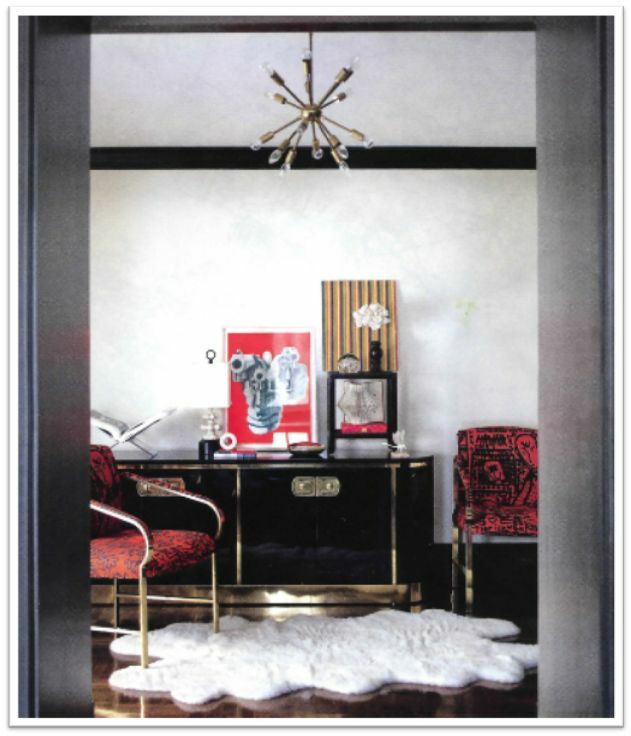 This entry was posted in Color, Design, Designer Spotlight, Fashion and tagged black walls, elle decor, gold, jackie astier, skull. Bookmark the permalink. SAW THAT LAST WEEKEND….YOU DID GOOD!!!! !